A few mornings back I sat up in bed, looked out the window, and though, “Yup, it’s still winter.” Oddly enough in my still-asleep state I somehow thought when I looked outside I’d see the green grass and leafy trees I got used to over the summer months. Instead I was greeted by heavy clouds that looked like snow. So, yup, folks, it’s still winter. 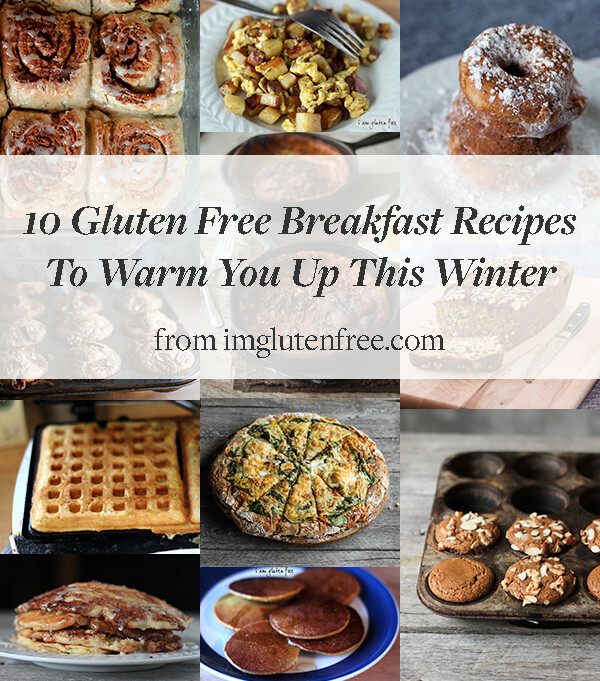 And until spring returns we’ll need some nice warm breakfasts to pull us out of bed in the morning. 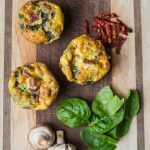 Here I’ve assembled a quick collection of 10 of my favorite warm and hearty gluten free breakfast recipes. Some of them are fast, some of them not-so-fast, so I’ve ordered them based on how quick they are to make. The longer, harder, but ultimately delicious recipes are towards the bottom. 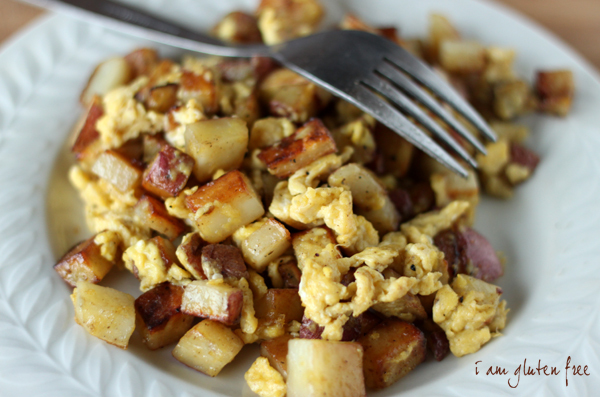 This quick and tasty 15 minute recipe for potato and egg hash is a great hearty gf breakfast. Fry in oil for dairy free! Click here for potato and egg hash recipe. 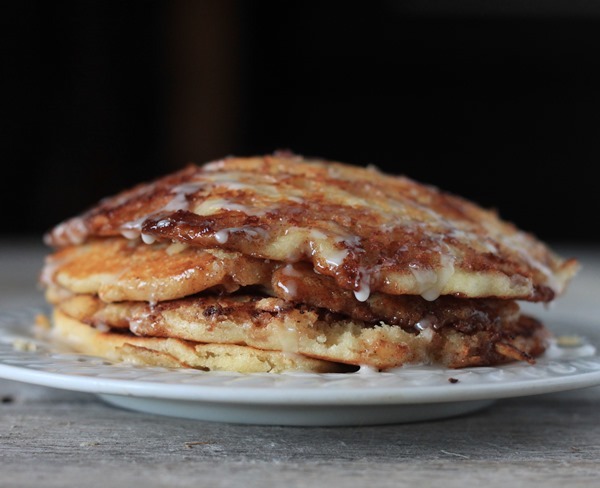 This 20 minute recipe for cinnamon roll pancakes is easy and oh-so-amazing. It’s super fast to transform regular pancakes into cinnamon roll pancakes: Just melt some honey, butter, and cinnamon together and drizzle over a cooking pancake in a circular pattern. Then if you’re in a guilty-pleasures mood, drizzle with a cinnamon roll glaze when you’re done! Click here for cinnamon roll pancake recipe. Waffles are a definite favorite in our house, and this recipe is pretty much my go-to. 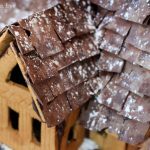 The small hints of cinnamon and vanilla make the flavor anything but boring. Best with real dark maple syrup drizzled into the holes! 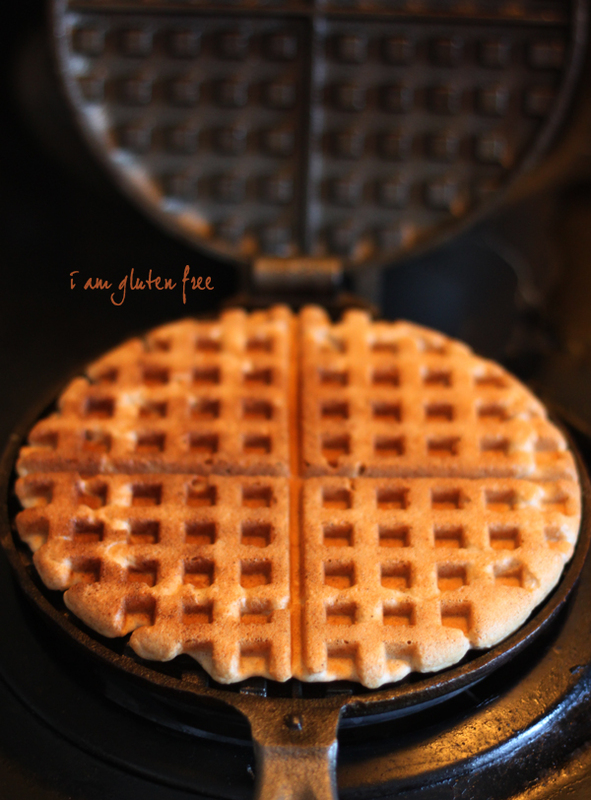 Click here for the waffle recipe. I seriously just LOVE THESE PANCAKES. They pretty much taste like pumpkin pie. Which in my opinion is a seriously good breakfast. You can use pureed baked butternut squash if you don’t have any canned pumpkin on hand! 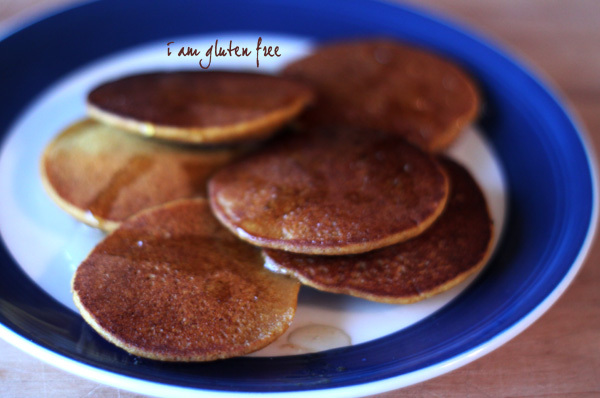 Click here for the pumpkin pancake recipe. I love a good banana bread. Soft and moist on the inside (banana bread is never dry) with a beautiful dark brown, slightly crunchy crust. Slathered with butter. To die for. 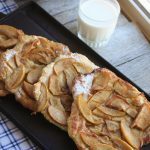 This is one of those recipes I just couldn’t live without! 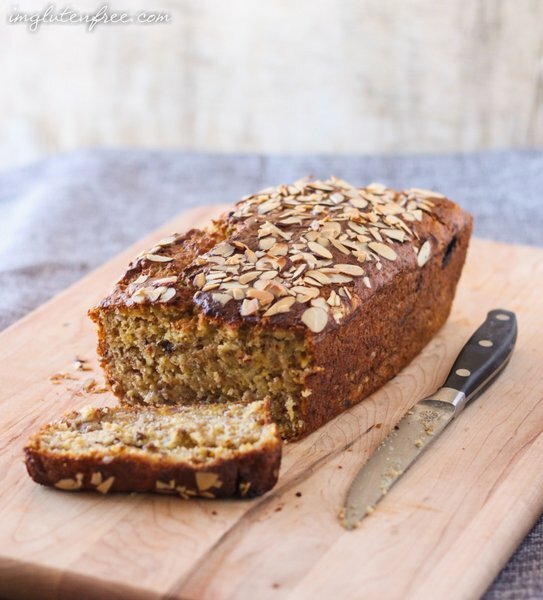 Click here for the GF Banana Bread Recipe! 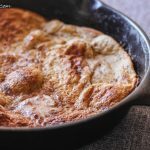 In this recipe, I combined the above cinnamon roll pancake idea with a puffed dutch baby pancake recipe, creating the Cinnamon Roll Dutch Baby. Sweet, crunchy, light, buttery, and puffy, it’s the perfect winter breakfast. 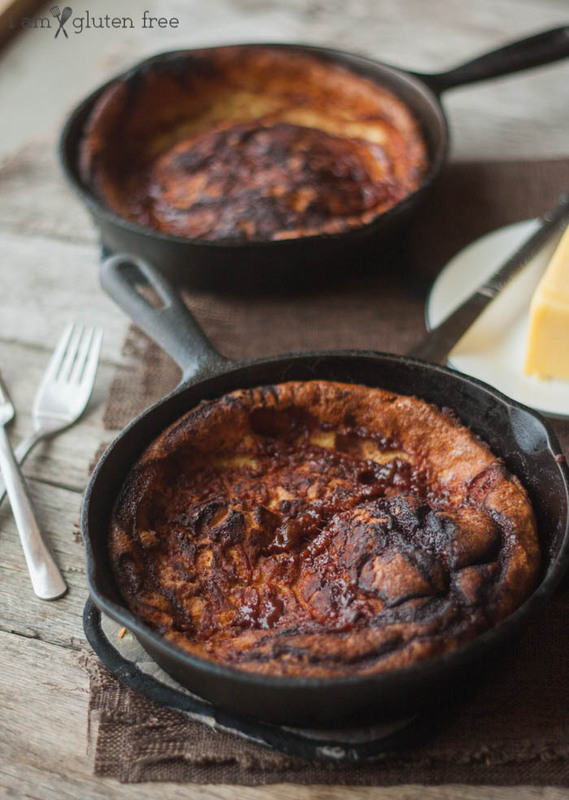 Click here for the dutch baby recipe. 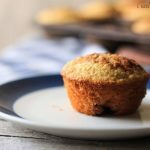 A little bit of sour cream in this recipe keeps these muffins moist and soft, while the molasses and ginger add punches of flavor. Mmmm. I’m wanting one just thinking about it. 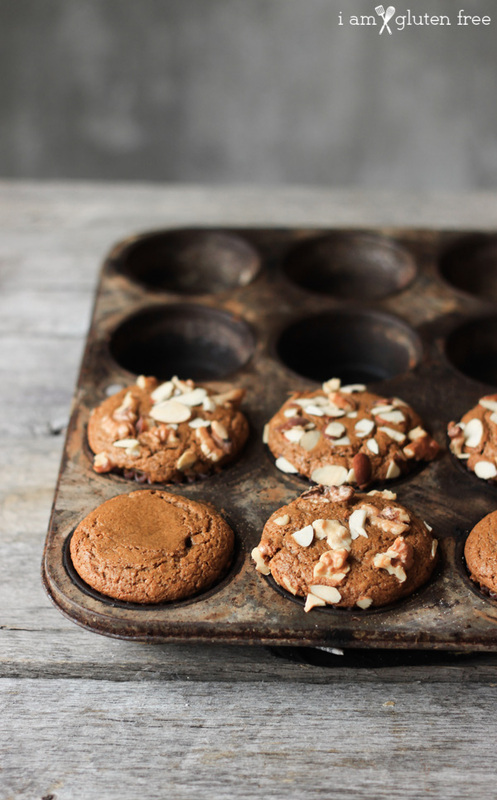 Click here for the gingerbread muffin recipe. And now we make the jump into the 1-hour cooking time territory. This means yeasty deliciousness, and if I had to choose one yeast recipe, I think it would be these fried yeast doughnuts. While not the most healthy, these crunchy beauties would be a perfect weekend indulgence. 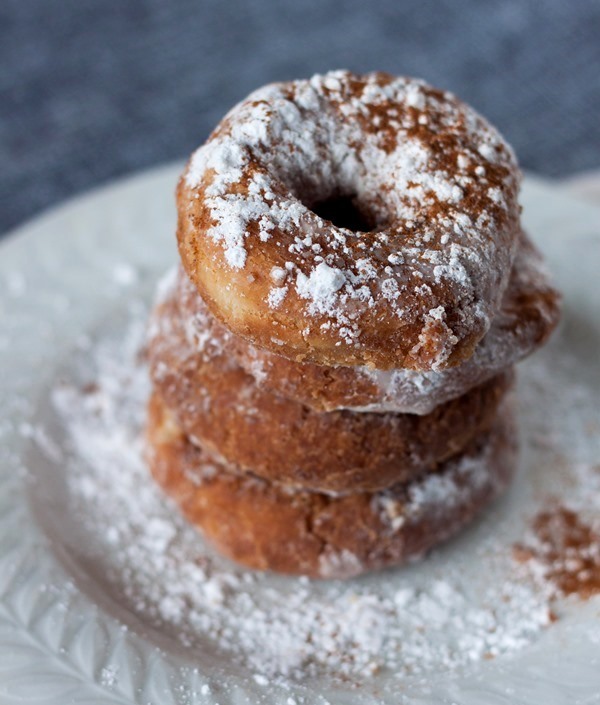 Click here for the doughnut recipe. 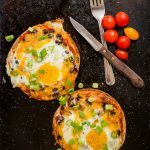 Just looking at this gorgeous breakfast pizza makes my mouth water. 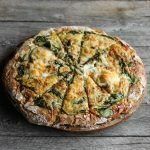 Made with spinach, eggs, a yeasty crust, and lots of cheese, this delightful breakfast would prepare anyone for the blizzard ahead. The best part? You can make the crust ahead of time! 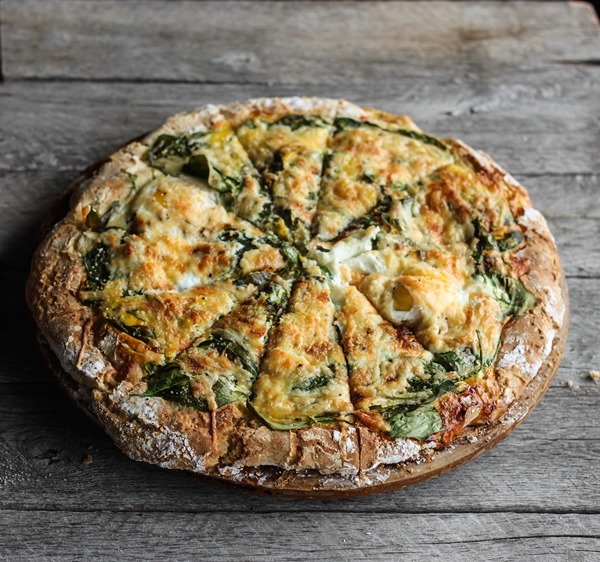 Click here for the breakfast pizza recipe. Cinnamon Rolls: 1 hour 30 minutes. No winter breakfast roundup would be complete without some sweet, yeasty cinnamon rolls! Need I say more? 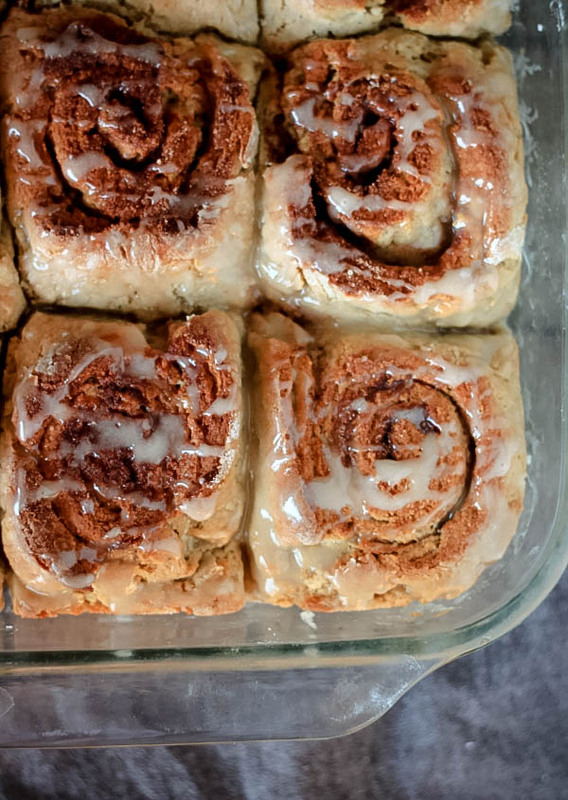 Click here for the cinnamon roll recipe. 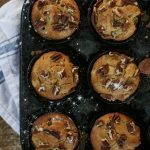 Anyway, I hope you’ve enjoyed this collection of 10 Gluten Free Breakfast Recipes! Stay tuned on the blog for future roundups!